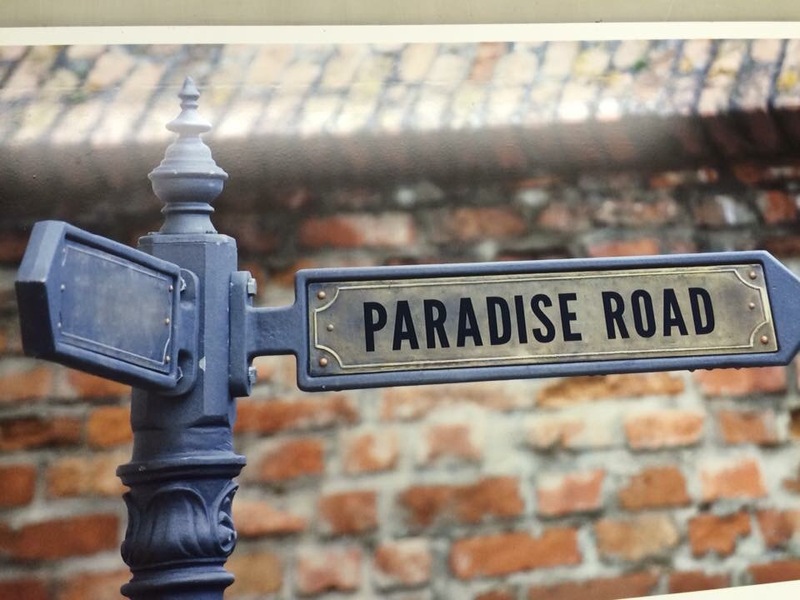 paradiseroad71 | It's all about the journey! Then I grew up. Winter became about messy drives to school and snow days – every teacher loves snow days! Snow fun only happened on snow days and weekends. Once we had kids, winter became about the kids. I had already had some incredibly painful back problems, so my winter activities became less spontaneous…sometimes, less snow fun. Photography has become the most consistent activity in which I participate. I am a complete amateur, but it’s something I enjoy. During our most recent snowstorm, I spent some time looking at past winter photos (It took a while to shovel the 20+ inches we got !). Here’s a sampling of a few that I like. This guy is willing to move mountains (and logs) to help me get the shot! It’s a New Year! It’s time to get a plan(ner). “She’s one of …those…people – the New Year’s Resolution Makers. Does she really believe that turning the page of a calendar and making some overly ambitious statements will completely alter the course of her future? Wow. And I thought I was critical! To be fair, I am one who embraces the concept of making all areas of one’s life better at any given time – not just in January. I am also one who enjoys making lists. More importantly, in my opinion, I am one who enjoys crossing things off my lists. Since I started working in August, I have set aside all of the things I really enjoy – painting, crafting, cooking, designing, reading, baking, writing, decorating – you get the idea. Not to mention, my house is a wreck, my dogs need a bath, menus, coupons and grocery shopping are sporadic at best, and the basement – well, let’s just say, no one even goes to the basement unless it is a complete necessity! So you see my dilemma, right? I need a plan! In the digital age in which we live, the most obvious choice for planning and organization is some sort of app that allows one to plug in all one’s laundry list of information in order to receive a well-organized list of things to do, when to do them, and possibly links to articles online that explain how to do them efficiently. (“Laundry list” – I had completely forgotten about the piles of laundry until I wrote that!). While a digital organizer would make the most sense, I just can’t bring myself to get on board with that idea. When one of my guys was a toddler and faced with something he didn’t want to do, he would say, “I can’t like it.” This is exactly how I feel about the digital planner! I can’t like it! I want to do the writing. I want to use my own system of coding. I want to choose the priorities. I want to add boxes for check marks, stars and happy faces for the fun activities, andsad faces for the not so fun jobs. I want to create the schedule. I want it to be pretty. I want it to be colorful. I want it to be user-friendly. I want to cross items off the list! And, while I’m sure “there’s and app for that,” I really want to do it the old-fashioned way – on paper! With that said, I am resolving today to find the perfect planner! Now I just need to find a piece of paper, so I can write it at the top of my list. Or maybe I can just put it on the notes app in my phone. Baby steps! For the last year, I was unemployed. I worked on long forgotten projects around the house, cooked and baked to my heart’s content, greeted my kids with treats and a listening ear when they got home from school, spent mornings having coffee with my husband before he left for work, felt an incredible sense of guilt about my lack of financial contribution, substituted when I had the opportunity, obsessively worried about our finances and prayed that God would bring me a job. In early August, I had an interview and later that day was offered a position. It was exactly what I had prayed so long about, yet I sobbed as I considered the offer. I thought maybe it was that it was at a different school than I had hoped, making the commute 45 minutes each way. I thought that maybe it was the idea of being new, that I was out of my comfort zone. I thought maybe it was that I was heading back into the classroom, a position that I hadn’t really wanted to be in. I thought that maybe it was the lack of choice I felt – with a child starting college in another state and our savings depleted from the year I hadn’t worked, there really wasn’t any other choice I could make. I prayed for the students I would have, the coworkers I would meet, and for a change in my attitude. I started the school year trying to look at the positives – financial stability, new opportunities… it was hard to think of positives some days. I used that time in the car each morning and sometimes each afternoon to pray for my kids, my husband, our extended families, friends. I prayed for my students, my co-workers, and myself. After several weeks, I saw an opening for a dean at the school I had hoped to be at. I spoke with my husband and talked with my principal. This seemed like the opportunity I had hope for all along. I applied and waited. I worked harder to see the positives. Weeks passed and I heard through the grapevine that the position had been filled. My heart sank. I did some digging and found out that my application had somehow been filed as an external applicant. They had opted to only interview internal applicant. Mine had never even been considered. I was offered an apology. I was hurt, heartbroken, angry. For two days I refused to pray. Why had God overlooked my request? Hadn’t I been selfless? Hadn’t I remained faithful? I have never felt more alone than I did those two days. I asked God to forgive me for my bitterness. I thought about the verses that I had discovered in college – Isaiah 26:3-4. I recalled the verse that I had written in so many yearbooks over the years – Jeremiah 29:11. I thought about my mom who remained faithful during her chemo all those years ago. I thought about the many in the Bible who have endured far worse than I and yet believed that God never forgot them. I don’t love my current position. I’m exhausted and stressed. I miss being able to openly share my faith with my students and coworkers. I miss the time I once had with my guys each day. But, I believe that God has a plan. I know His timing is perfect. I know that what He has for me is more than what I could imagine in my current situation. 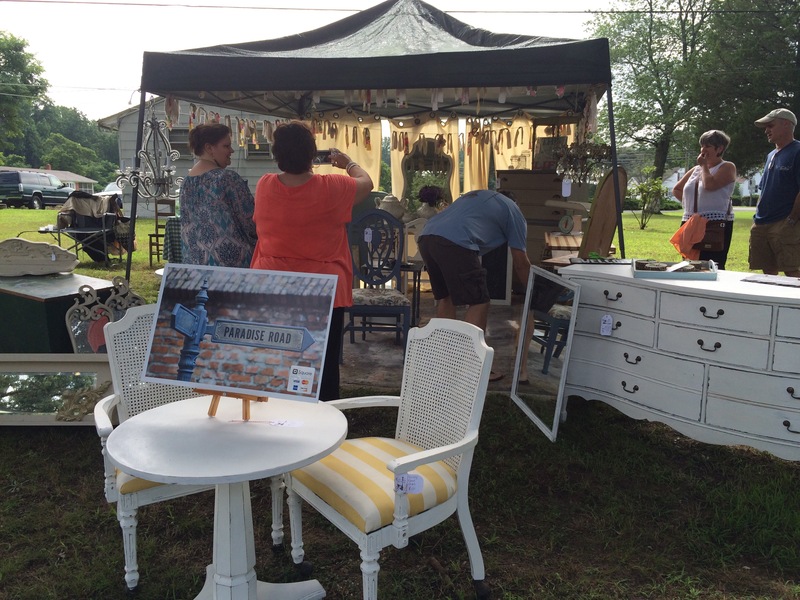 I mentioned in my last post that I participated in my first vintage market at GypsyFaire. It was such a great weekend! 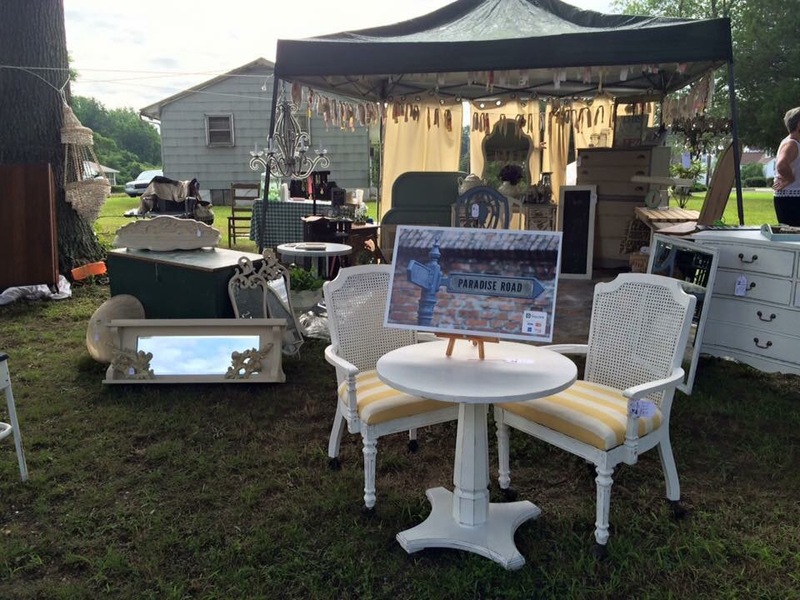 I got to meet a lot of vintage lovers, spend time with vendor friends like Roland and Lisa of Pallet Refined and make a lot of customers happy! 1. Square – It would be ideal for everyone to carry and pay for items with cash. However, we live in a world of plastic users! Before the event my husband ordered and registered my “business” with Square. It’s a great little device that I could plug into my phone and use it to swipe credit cards. It was so easy to use and allowed us to sell more than if we had only accepted cash. 2. Variety- It’s important to have a variety of items and price points. I had an 8ft sofa table my husband put together with some reclaimed lumber for $395 and some dried lavender bunches from my mom’s garden for $3. There were a pair of reupholstered cane back chairs for $150 and a 1940’s baby scale for $45. There was a chippy weathered windmill for $100 and some hand painted signs for $18. 3. Boy Scout Motto – Be prepared for anything! That includes weather! Our first day started with a fair amount of rain. I had planned to put a rug on the floor of our booth which seemed like less of a good idea with the rain. Luckily, we had packed some plastic drop cloths that we placed on the ground first. My partner, Shannon, was the Queen of preparation. She had wipes, extra shopping bags for small items and even a large jar of water flavored with cucumber and mint. 4. 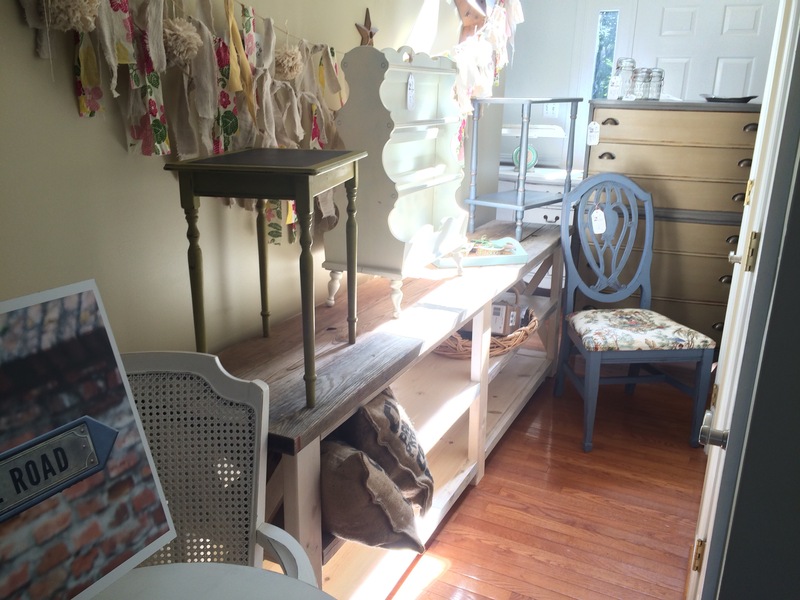 Display – It’s important to create a space that feels as polished as a real store, but also really accessible. In addition to the rug to create a floor, we added solid curtains to the back to create a wall behind which we could keep extra items. A simple bunting made with torn canvas, flowery fabric, and pom poms added a decorative element to a boring tent. As far as the inside, the sofa table was really a nice piece but ended up looking like a display table for the cutting boards. We moved it to a different location the second day and it got a lot of attention. 5. When in doubt, bring it anyway. – You never know what will attract a buyer. I painted a last minute sign that didn’t seem all that special, but it ended up being the first item to sell. 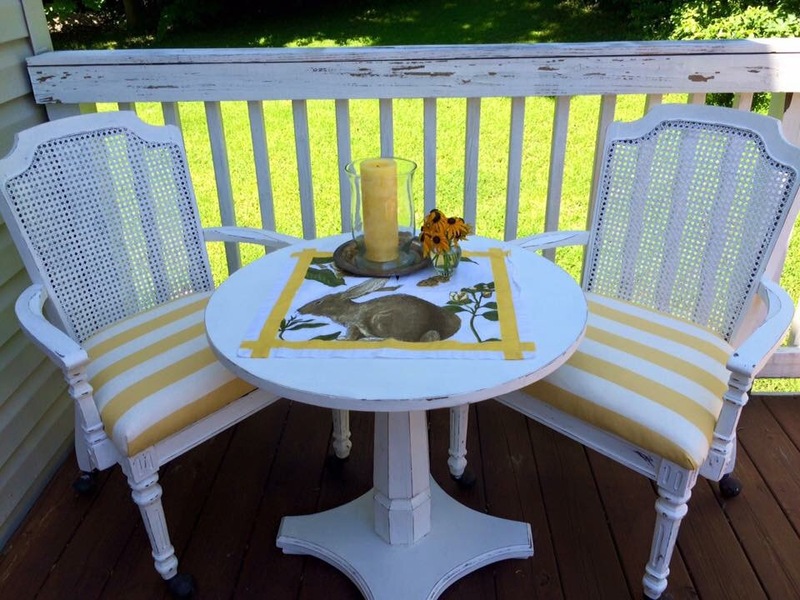 On the opposite end of the spectrum the caned back chairs mentioned above paired with a cute matching pedestal table seemed like a no-brainer. Lots of interest, but it didn’t actually sell until almost a week after the event to someone who had seen it but walked away. 6. Strategy – The first day of the event was really busy. We were overwhelmed with foot traffic at times. Day two was completely different. It was really slow with a fraction of the people from the first day. Putting out everything the first day is the best strategy as long as the booth doesn’t seem too cluttered. 7. Signage and Branding – I was fortunate that my cousin-in-law Shannon of Next Day Signs had created a great sign for me in advance of the event. I hadn’t really put much thought into a sign. 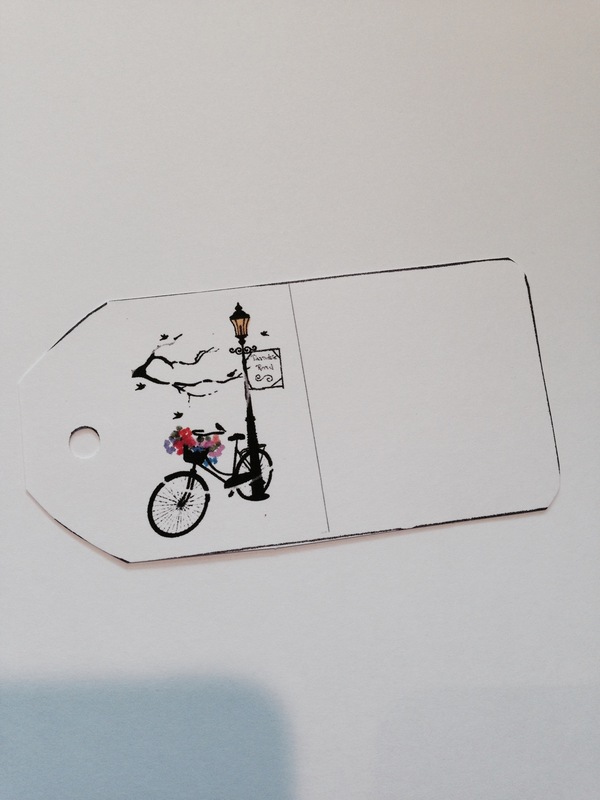 My mom took an idea I had and created some amazing price tags. The one thing I didn’t have was business cards. I never thought anyone would be impressed enough to want to seek me or my business out after the event. I had many requests and ended up writing my Facebook info down for a few. Next time I will definitely have cards. 8. Network- For me this business is a completely enjoyable hobby. However, I love the dream of one day doing it full time! In order to hone my business acumen I need to keep attending vendor markets and other events where I can build a clientele. Networking with other vendors is essential to gain valuable feedback. I can’t wait until the next event. There is always more to learn! 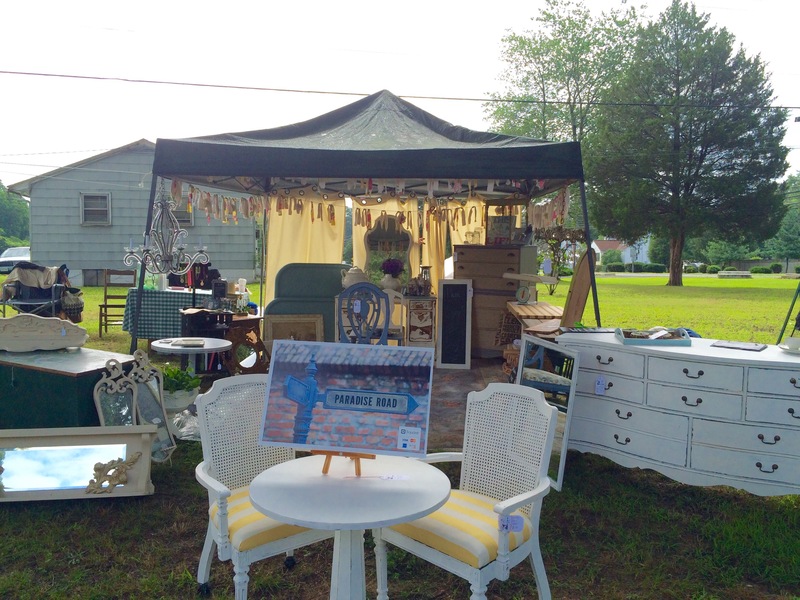 One of my favorite vintage/antique/upcycled stores, GypsyFaire announced an open vendor market for July. I first heard of it about a month prior to the date. Finally, my opportunity to showcase some of my projects had arrived! BUT it was the worst timing ever! My oldest guy was graduating and family was coming into town followed by a week away at camp with our Jr. High Youth followed by a big 4th of July graduation party for my oldest and his cousin. There was little to no time to prepare. So I decided against it. I was literally heart broken that I’d miss this opportunity. Then, I heard a friend of mine had decided to have a tent and was possibly looking for someone with whom to share the space. “Maybe I have time to put together enough for half a tent.” I said to myself. I took a huge leap of faith on my part and contacted her. She was kind enough to take care of the vendor contract and communication and we were ready to go! EXCEPT I didn’t have a lot ready and only had about a week to prepare. There was no time for self doubt and worry. I forged ahead with some plans. 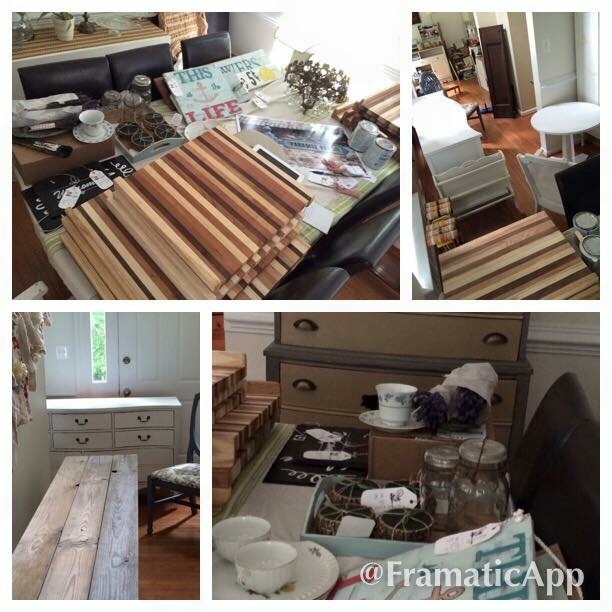 I did a lot of painting – mostly furniture, but a few signs as well. I reupholstered a few chairs, picked up a few cutting boards from my dad and made some chalkboard coasters. I even managed to scrape together a few dollars to buy a few things in Michigan to add to the collection. My husband surprised me with a huge sofa table he made from a plan I had found long ago, but never thought we’d actually get to complete. It was a great day! I learned a lot from the experience, and I’ll share more of that in my next post. I spent the day waiting for a phone call. I expected it early in the day, so I didn’t do anything for hours. Well, I cleaned up the kitchen, took the pups out and did a few loads of laundry, but nothing else. I realized at noon that although I was being patient, the expected call wouldn’t come any sooner. Since the house was empty, I decided to do some baking. 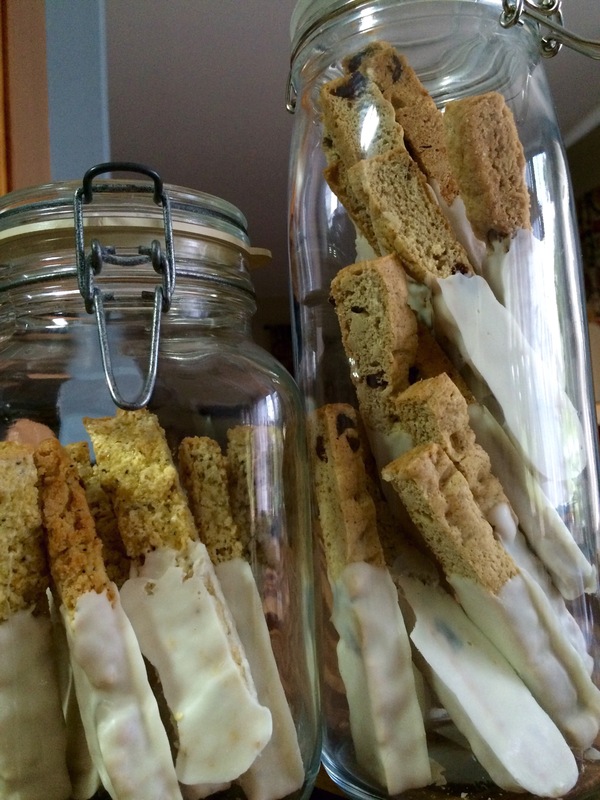 I decided to make a small batch of biscotti. 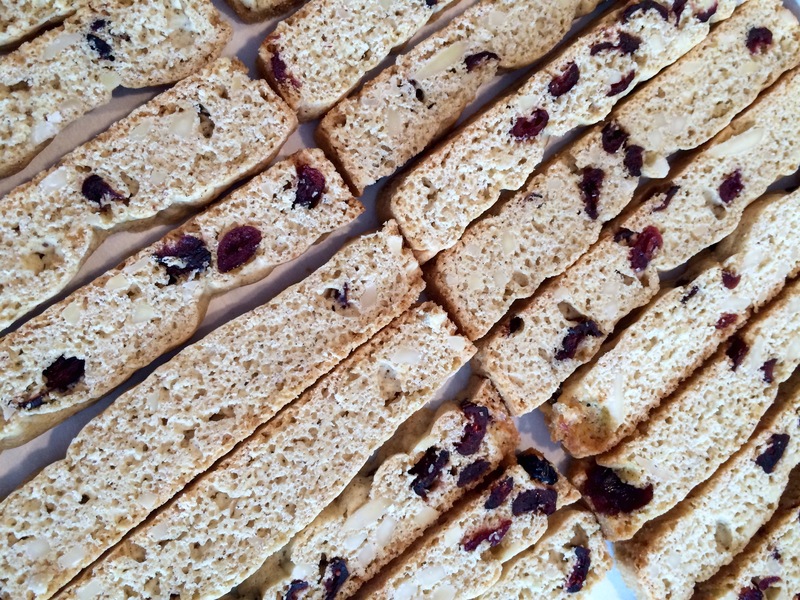 After putting together a batch of my usual favorite – cranberry almond and still no phone call, I decided to change up the recipe a bit to make lemon poppyseed biscotti as well. I like when you can take a basic recipe that you know really well and make a few adjustments to have another equally easy and yummy recipe. Well, I should have thought it through a little more because it didn’t exactly go according to plan. 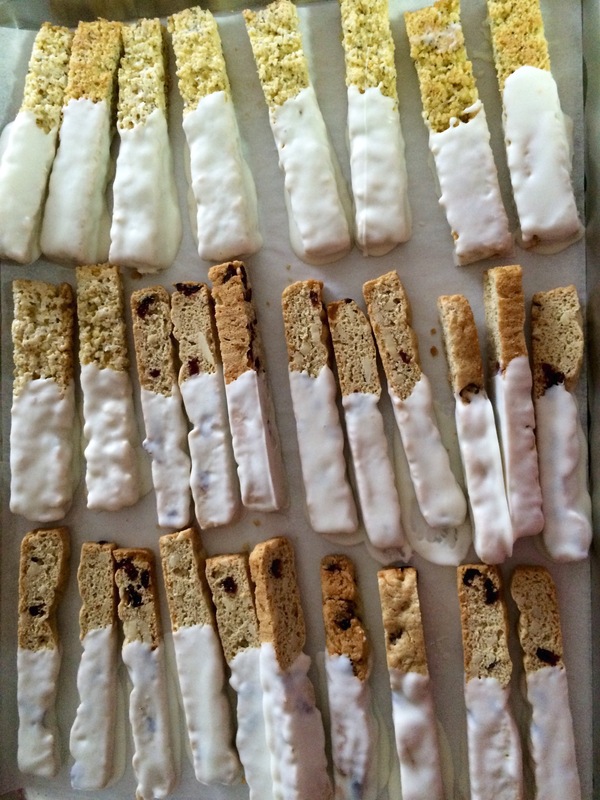 Still focusing on the phone call that never came I mixed up the second batch, leaving out the cinnamon and nutmeg and replacing the cranberries with lemon zest, the almond extract with vanilla extract and the almonds with poppy seeds. Something didn’t look right. 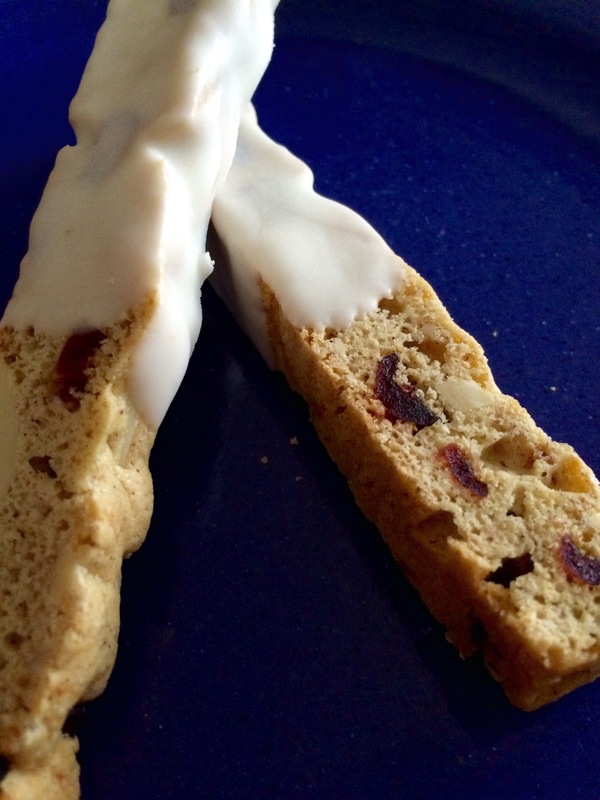 I tasted the dough and realized I had forgotten the sugar! I added the sugar to the mix and new already the consistency was a little too weird to turn out correctly. It seems a little lumpy- don’t you think? Just to add to the decadence! 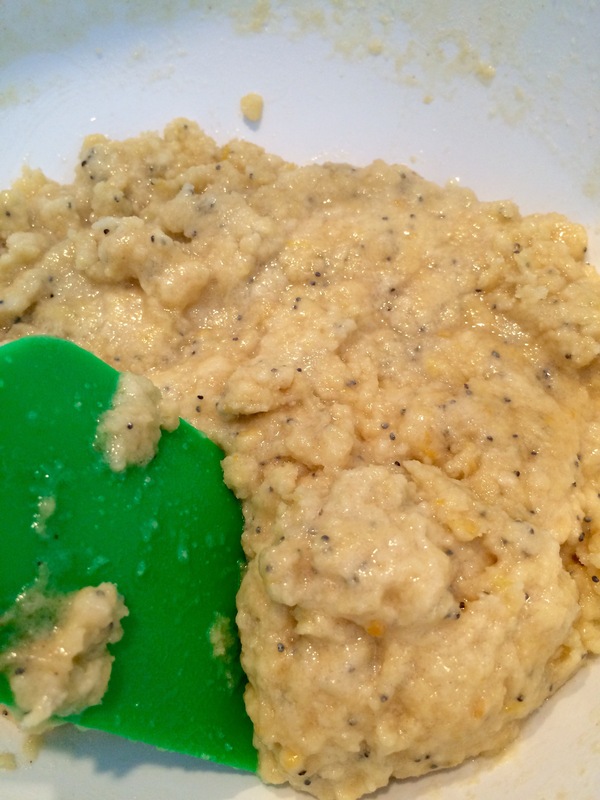 Then the lemon poppyseed came out and definitely looked grainy. 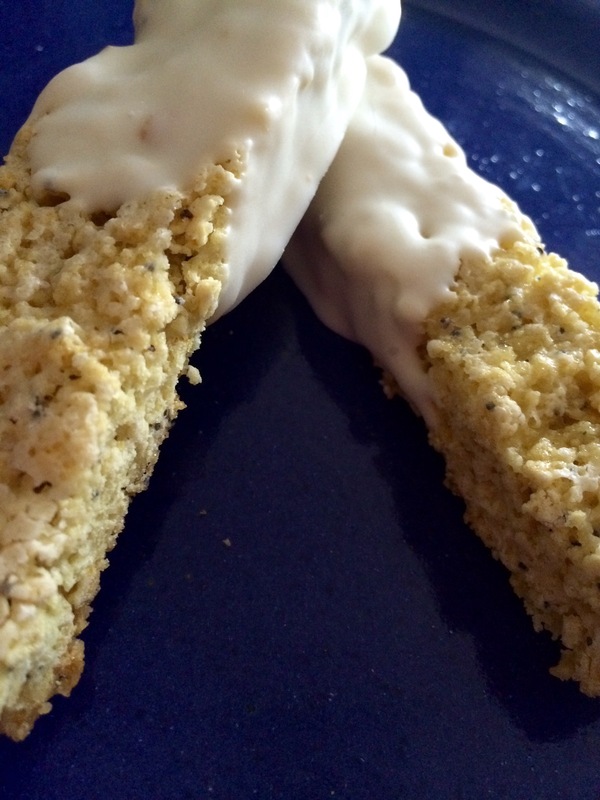 I had intent ended to drizzle some white chocolate on them, but decided to dip them as well. Lastly, I put them in a few containers to add to their allure. Who am I kidding? 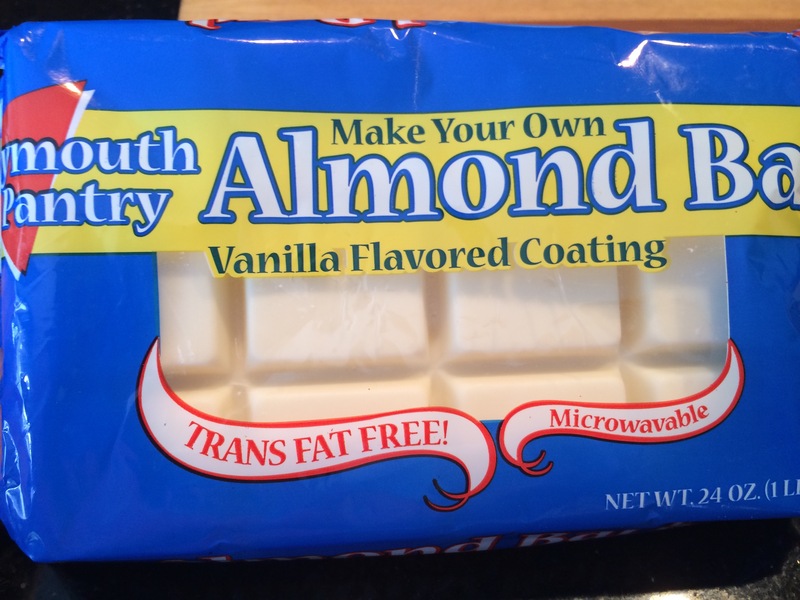 I live in a house of guys – they will eat anything and everything! On a side note- the lemon poppyseed tasted amazing! There’s nothing better than a delicious mistake! I love all the varieties of peaches that are available right now! Big, juicy, yellow peaches are my favorite. When I saw some in the grocery store this afternoon, I knew I had to get them. 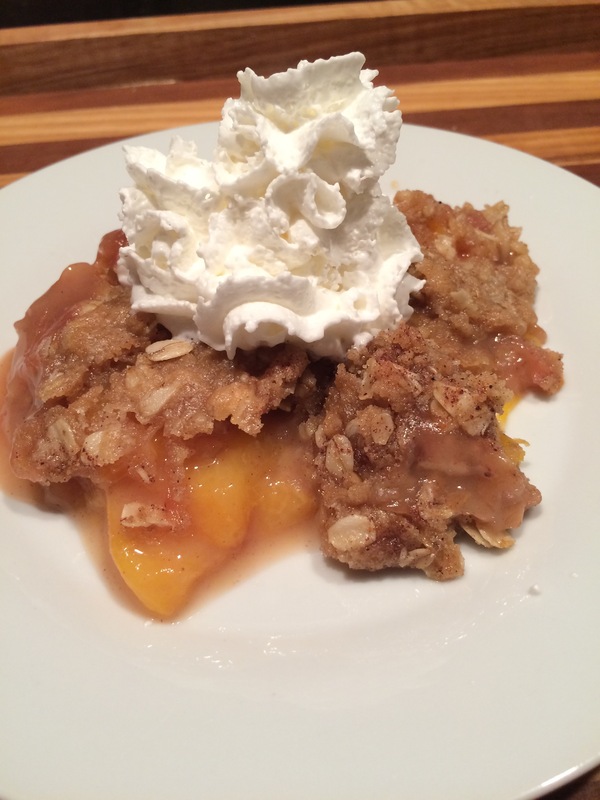 I thought about making peach scones or peach dump cake or an old fashioned cobbler. Unfortunately, my house is still pretty cleaned out for the summer, and I was missing random ingredients. I could have been happy with just a dish of peaches and maybe a little whipped cream, but I knew the guys would frown at such a simple preparation. I then realized I had all the ingredients I needed to make a crisp. 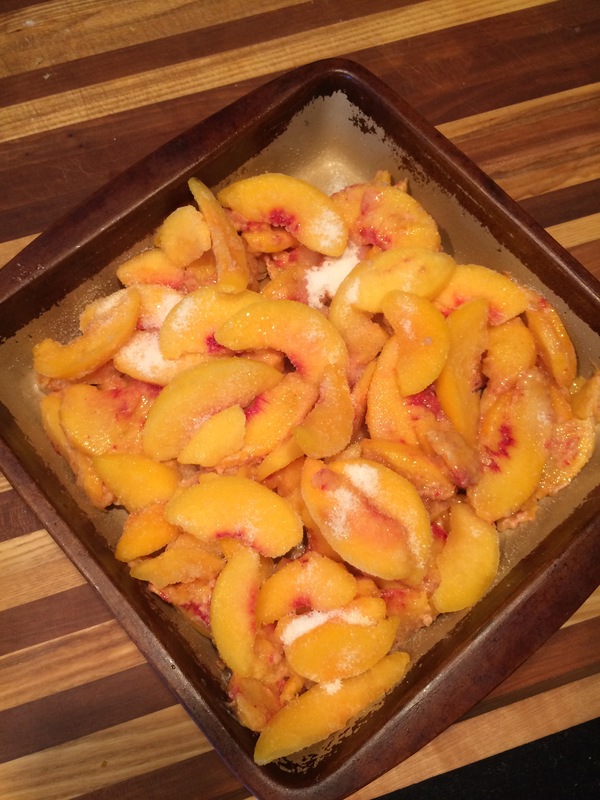 I started by slicing three large peaches and put them in a mixing bowl. I added a little sugar, nutmeg and flour and put them in a baking dish. I didn’t quite have enough to fill the dish, so I added a few slices of frozen peaches. 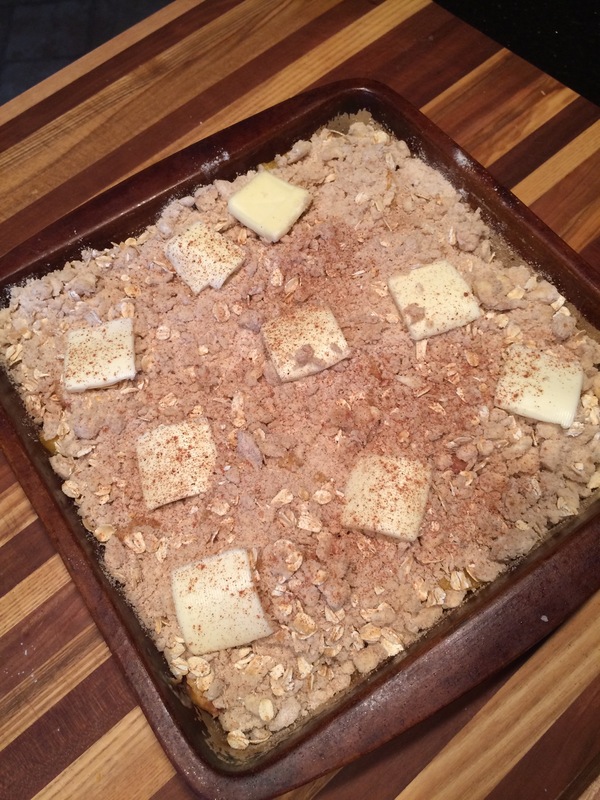 I sprinkled a little almond extract on and started building the crisp. To make the crisp I took a cup of flour, half cup of brown sugar and a stick of cold butter and used a pastry cutter to mix them together. 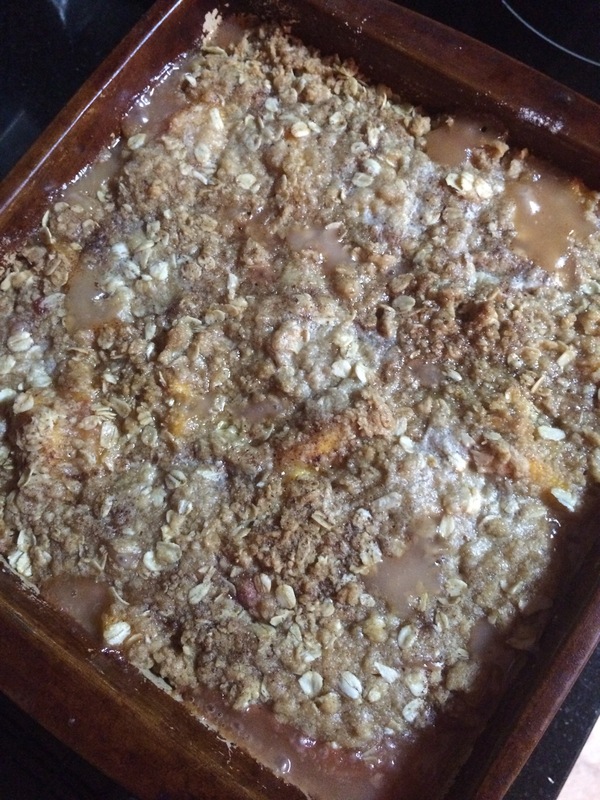 I them mixed in a half cup of rolled oats and some cinnamon and added it to the top of the peaches. I dotted it with a little butter (because more butter can’t be bad!) before putting it in a 375 degree oven for 45 minutes. It looked amazing when it came out! I didn’t even wait for it to completely cool before I put a little on a plate with a little whipped cream. Pictures will not do this console table justice. 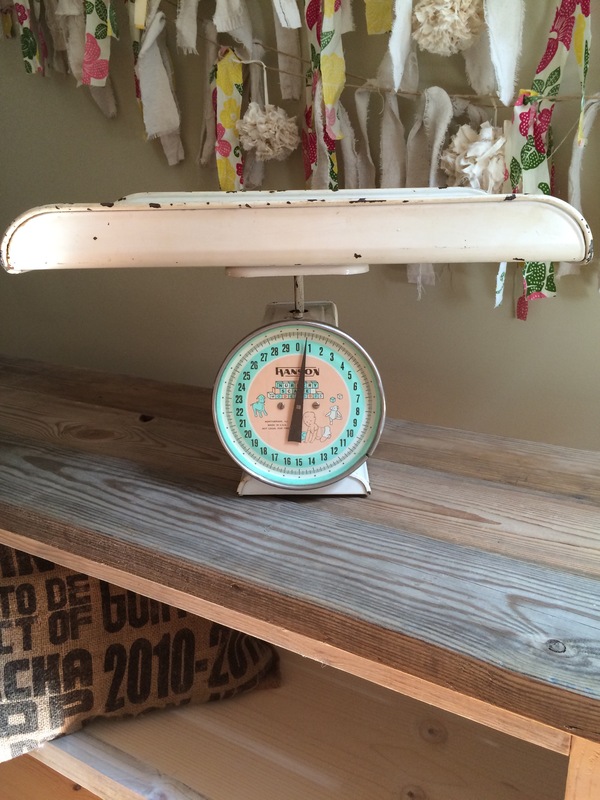 It’s handcrafted using reclaimed barn wood with the original red paint patina on the shelves. It’s gorgeous! A must see! Don’t let the rain keep you away! There are so many vintage beauties to see! GypsyFaire Saturday 9-5. ...and sometimes she watches baseball.